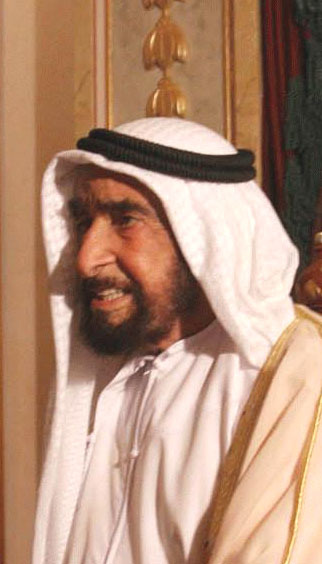 Photo: Sheik Zayed bin Al Nahayan. Agencia Brasil; Wikimedia Commons. The Yemeni – Sana’a population data represent DNA samples from 100 unrelated individuals in the region of Sana’a — capital of the officially titled Republic of Yemen (Sana’a; Yemen). Of these, 39 samples had been used in other studies. Samples were obtained by the Dept. of Legal Medicine at the Univeristy of Halle in Germany; the Dept. of Legal Medicine at the University of Graz, Austria; and by the Dept. of Forensic Medicine in the College of Medicine, at Sanaa University in Yemen. 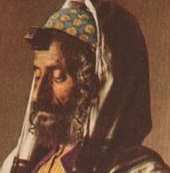 Photo: Painting of Yemeni Jew. Wikimedia Commons. Source publications: Significant Differences Between Yemenite and Egyptian STR Profiles and the Influence on Frequency Estimates in Arabs, IJLM, 2001, p211-214.